We’re getting a children’s museum in Santa Monica! And it’s super accessible by both train AND bus! 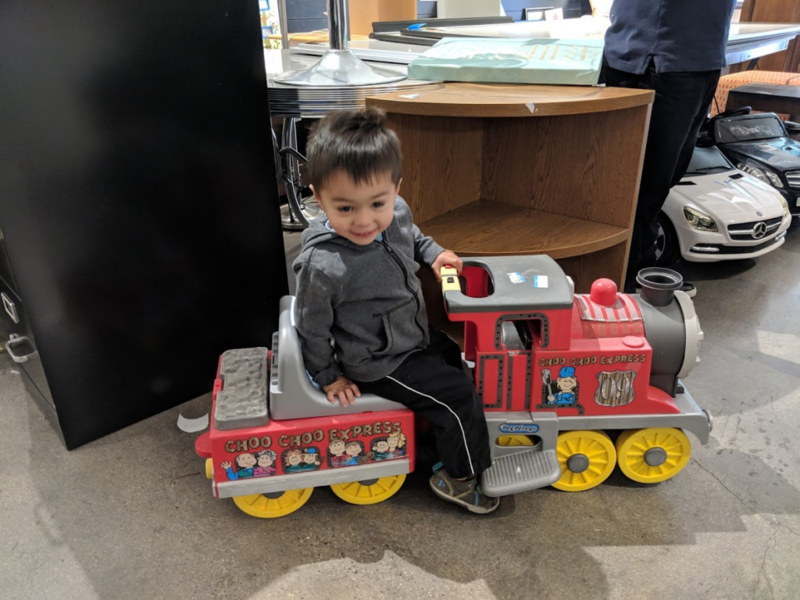 The Cayton Children’s Museum (formerly known as the Zimmer Museum Presented by Sharewell) had its last day at its old location in Mid-Wilshire in late February. It is on track to open in its new location on the third floor of Santa Monica Place on June 1. You should consider taking public transportation to visit the Cayton. The Cayton touts its proximity to Expo Rail, but what about those of us who live nowhere near a light rail station? The bus, I’m telling you! Wilshire at the Water Garden…which is also across from the train station. 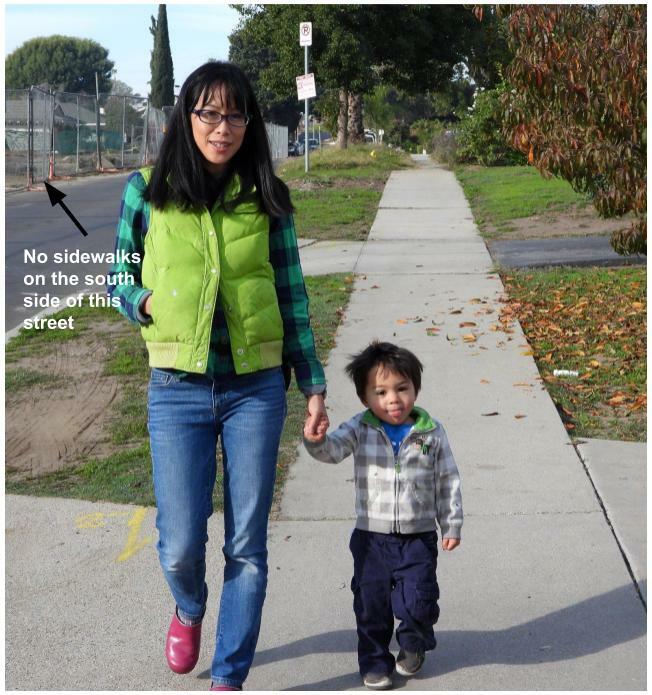 Wilshire Matute is very enthusiastic about walking around his neighborhood. He will happily walk with us to the park, CVS, daycare, the cleaners, and the mailbox. 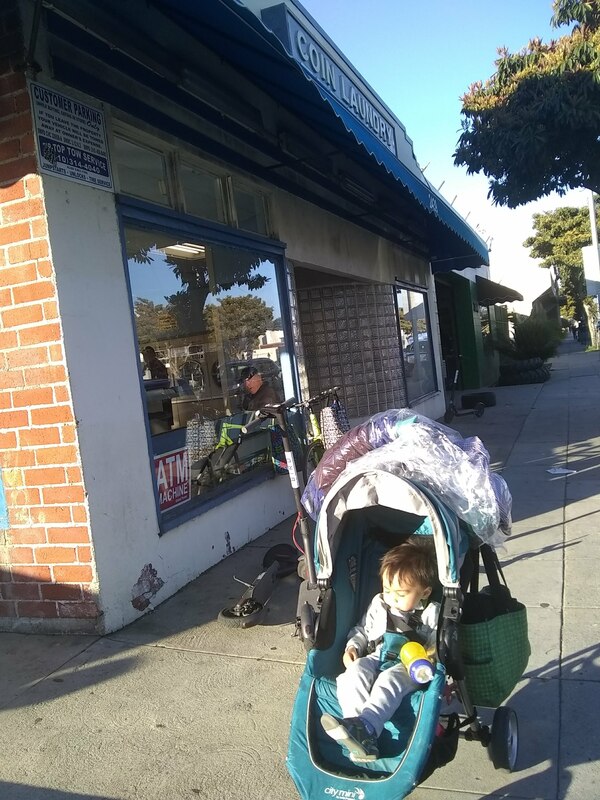 He likes walking to the bus stop and the Expo Line station too. 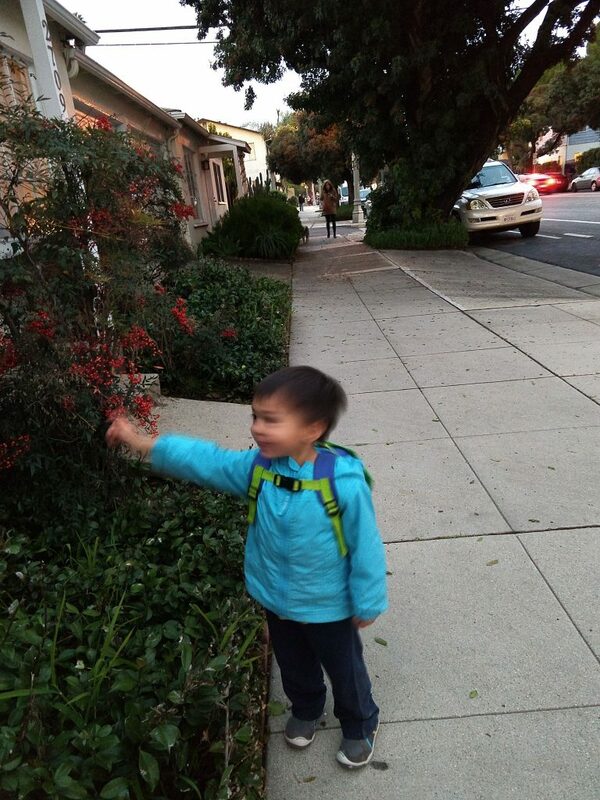 But make no mistake: Wilshire is not a wunderkind walking enthusiast. 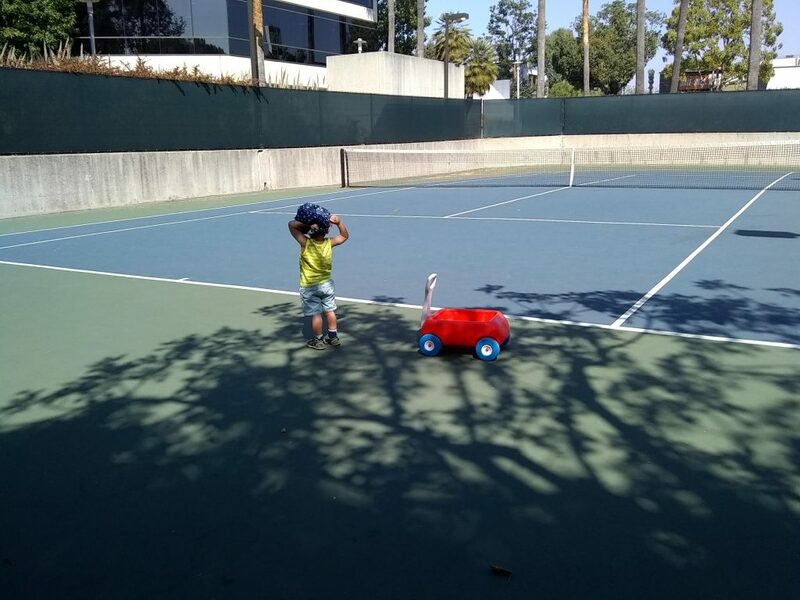 These destinations fall neatly within Wilshire Matute’s Toddler Walkshed. 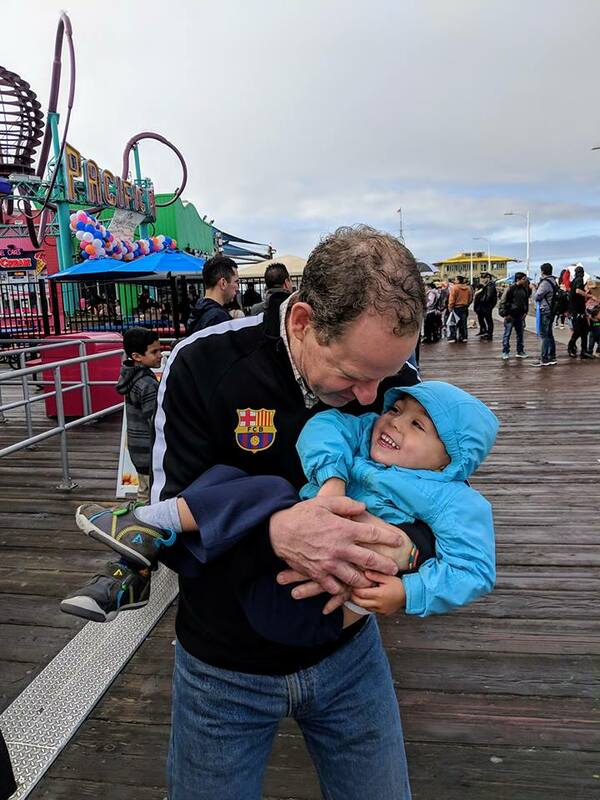 Eric Feldman, a DC-based urban planner, was probably the first to write about toddler walksheds, which he defined loosely as the distance that a curious and perpetually-distracted toddler can navigate city streets on foot in 10-20 minutes, all the while insisting that her parent pushes an empty stroller – and safely. In my mobility planning circles, we talk about “pedestrian sheds” as a metric to evaluate a neighborhood’s livability and walkability. In drawing these sheds, we ask: What kinds of quality destinations can you reach within a five-minute walk? And safely too? The racially and socioeconomically diverse San Fernando Valley neighborhood I lived in as a teenager puts this to test. It has many noteworthy destinations within a quarter-mile, including a full-service bank and grocery store. 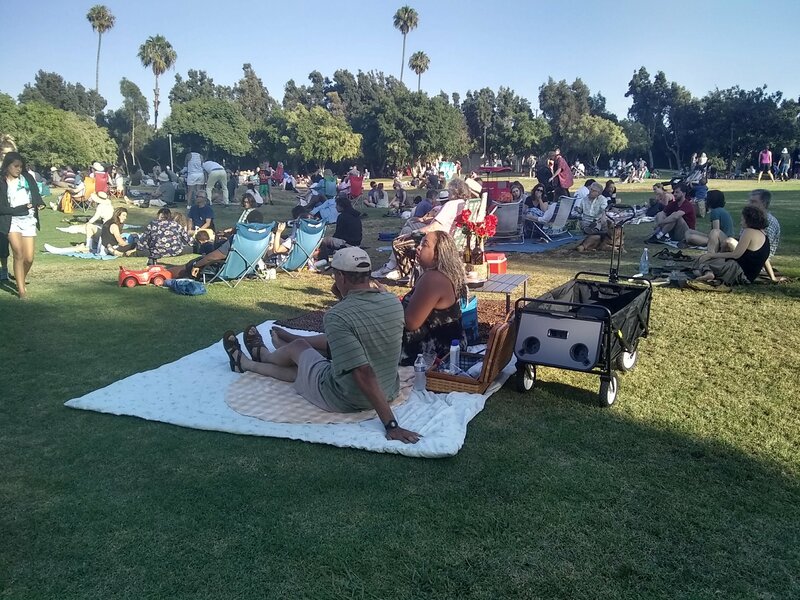 However, accessing them necessitates walking along a stretch of street without sidewalks and then along a busy boulevard lacking street trees, which is simply brutal in the summer heat the Valley is well-known for. This was taken near my mom’s house. There are sidewalks only on one side of the street. It was beautiful but you don’t want to be on this street in late August, when it’s over 95 degrees. Things are different in the part of Santa Monica I am so grateful to call home. This was at the used clothing store immediately across the street from our house. Checking out the scene at the tennis court at the park nearby the house. He likes pulling the wagon. Wilshire officially joined LACMA in mid-February. 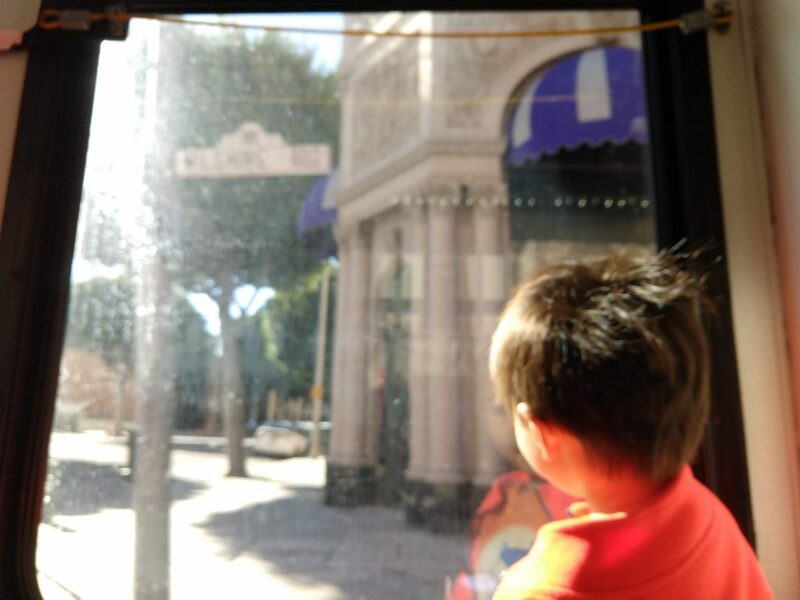 We took the Metro 720 from the house to LACMA on a Saturday morning. The trip door-to-door, including a brisk trot to the bus stop, was about 35 minutes. 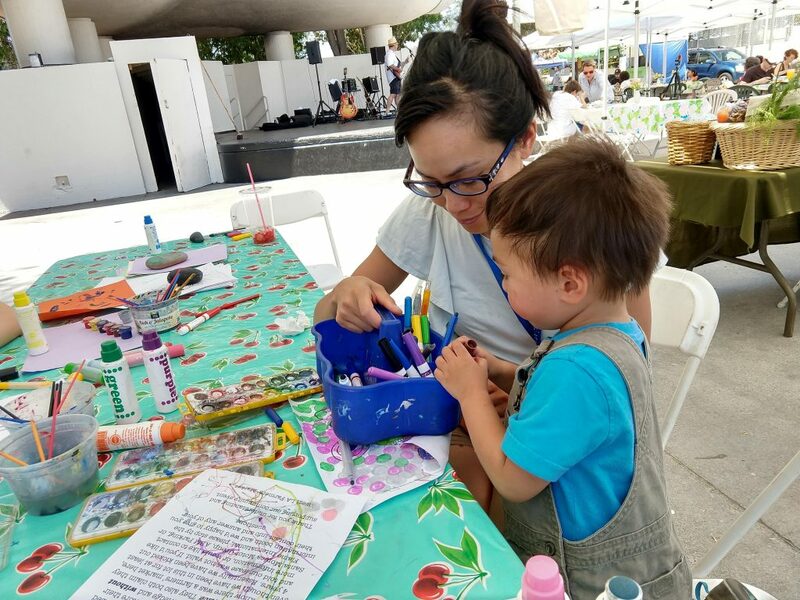 We spent about 90 minutes at the museum before finding lunch.. First, we went to the Boone Children’s Gallery, where Wilshire painted with Japanese water colors for about 40 minutes. 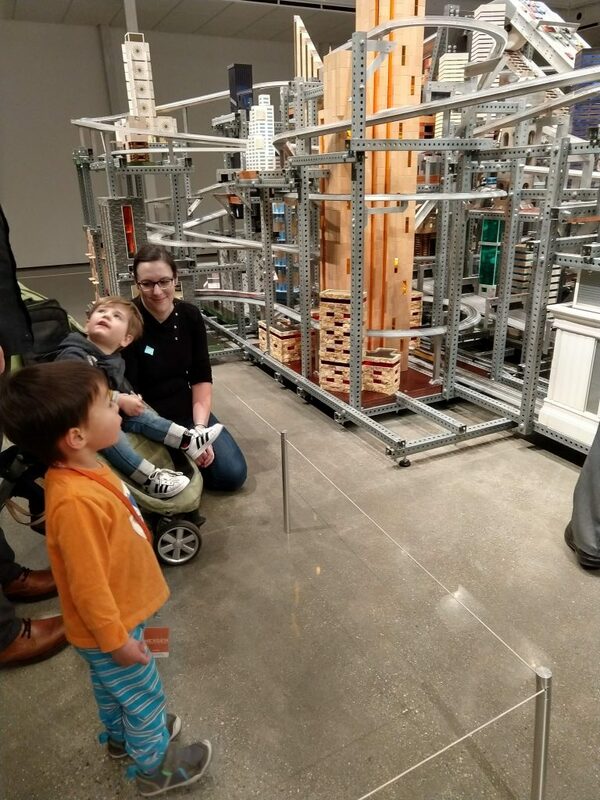 Then, we checked out Metropolis, an intense, kinetic sculpture modeled after a high-rise city with lots of cars and TRAINS moving at speeds of up to 240 mph. Wilshire loved it. Even with the NextGen membership, visiting LACMA can get expensive really quickly if you have to pay for adult admission, parking ($12/car) or for lunch. Save money by bringing in your own food, including your own milk. (A milk box is $4.) We took the bus, which worked out to $3.50 round trip for me. Join us at Seuss-a-Bration at the SaMo Library! Santa Monica Friends! Join me and Wilshire next week for a free event at the Main Library next Saturday (3/2) to celebrate Dr. Seuss’s birthday! 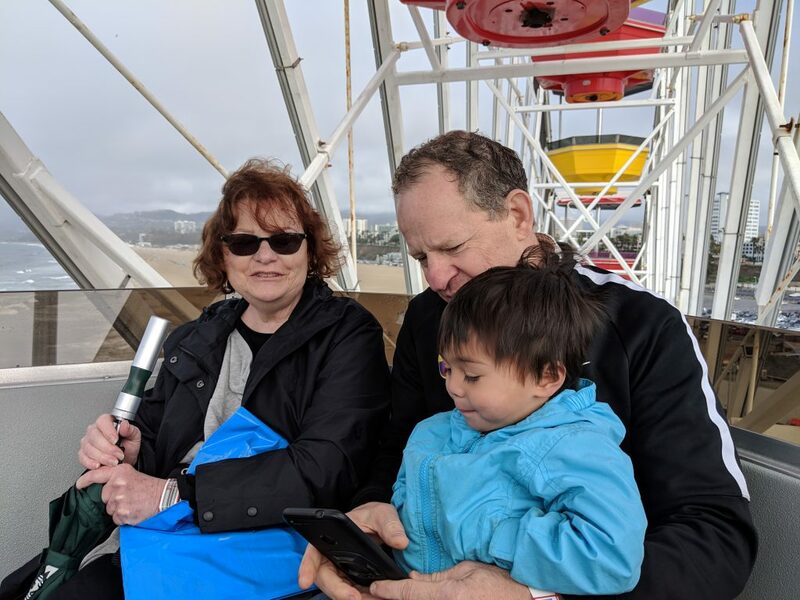 Mayor Gleam Davis, herself a mom, wants to share her passion for literacy and education with the Santa Monica community. So, for the duration of her term as mayor, Mayor Gleam is going to read with us. Let’s Read will rotate on a monthly basis around all five branches throughout the City throughout her term in 2019, and will involve both adults and children. P.S. Want to know how I keep up with cool happenings in Santa Monica? I’m subscribed to SaMoNews, the City of Santa Monica’s biweekly newsletter. It’s chock-full of cool, free events happening around Santa Monica. I wanted to put up a fun post about some of the places we take transit to. 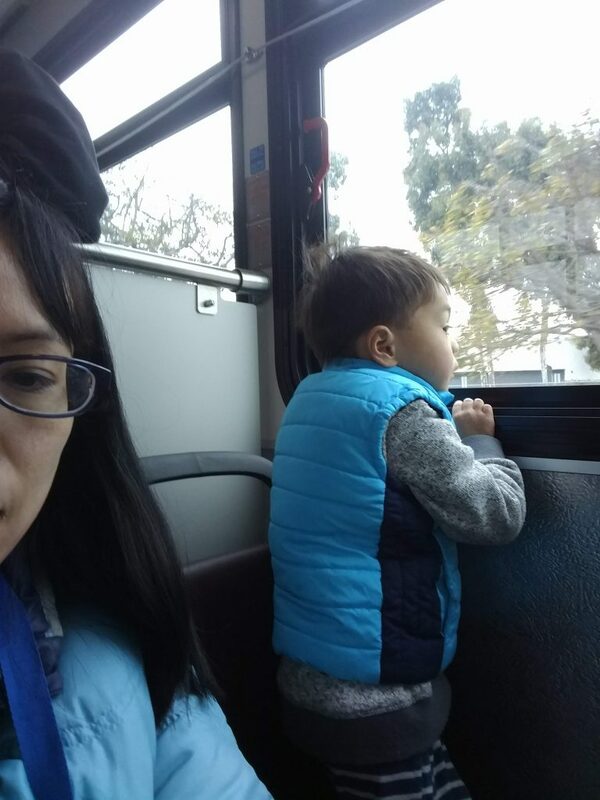 We live within walking distance to daycare, so most of our transit rides happen on weekends. Here’s a sampling of destinations within the past month. 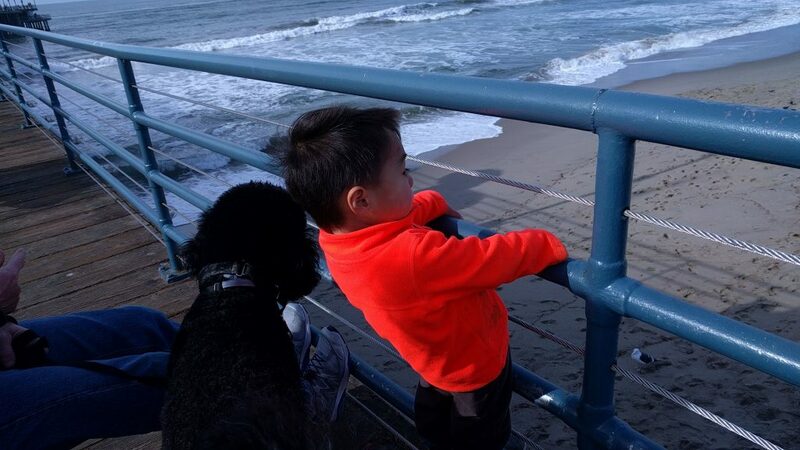 Prince (L) and Wilshire (R) met up at the Santa Monica Pier on a Sunday morning earlier this month. 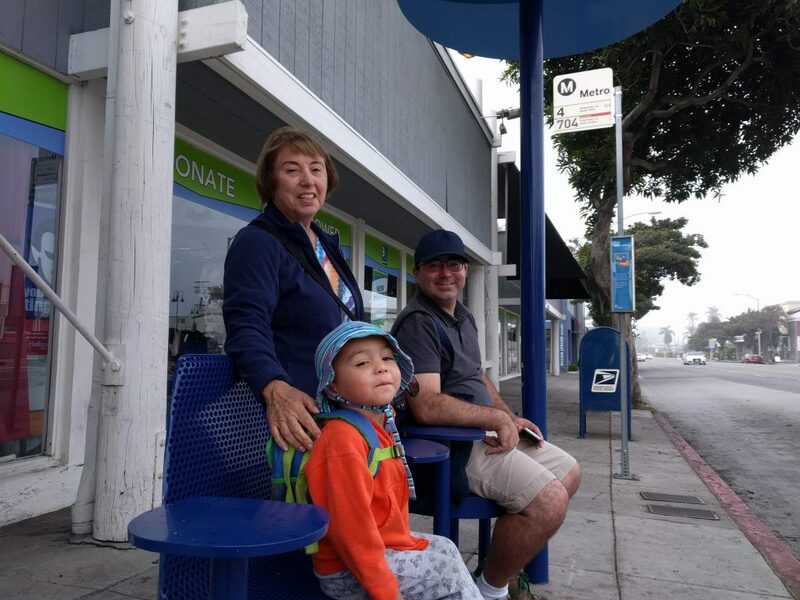 We often take the Big Blue Bus into Downtown Santa Monica to go shopping, eat out, or meet up with friends. Located near the Felicia Mahood Senior Center, the West LA Farmers Market operates on Sunday mornings and is served by about 20 vendors. They have the best tamales and crepes. Wilshire also really likes the art table there, which always has a great supply of markers, crayons, paints, and glitter. The service on the route is not the greatest, but the wait is okay when you wait for the bus at the stop with a direct view of the Bundy Expo station, and 4 trains go by. Note: I usually bring my City Mini stroller with me on these solo trips to the grocery store. 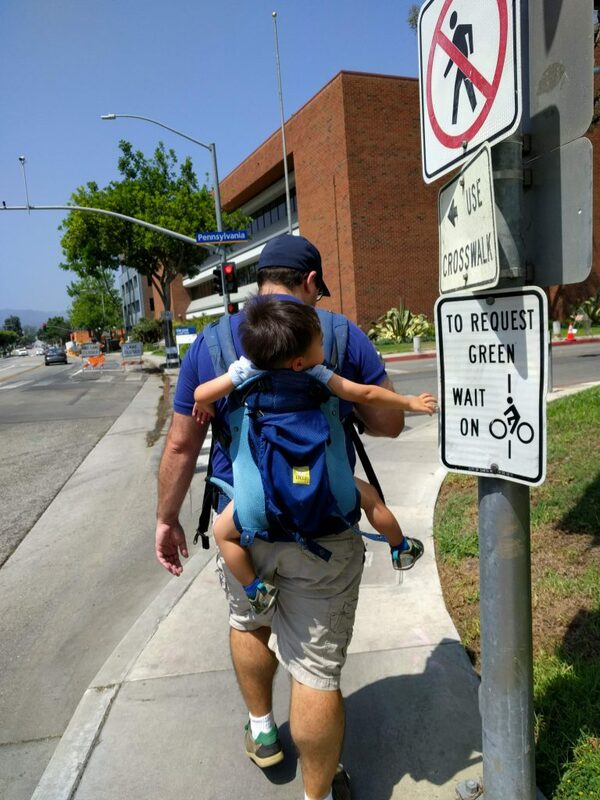 I can’t risk Wilshire demanding to be carried while I am also hauling home a week’s worth of groceries. 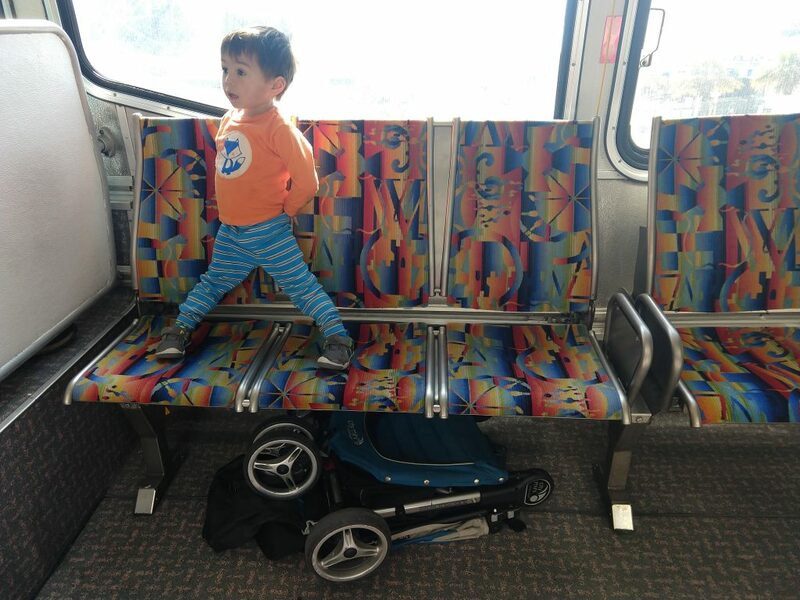 It is not easy to bring a stroller onto a city bus. 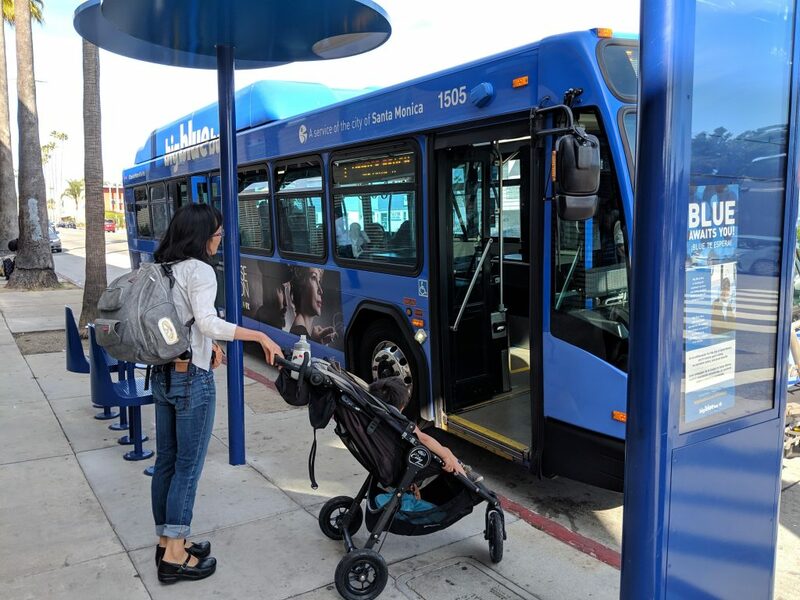 But Big Blue Bus has made it somewhat easier because they do not require families to fold their strollers until after they have boarded the bus, and the drivers are usually gracious enough to kneel the bus or deploy the wheelchair ramp so I can push my stroller and groceries on board. I have done this often enough to always bring sturdy bags with zip tops, so I never risk items falling out. 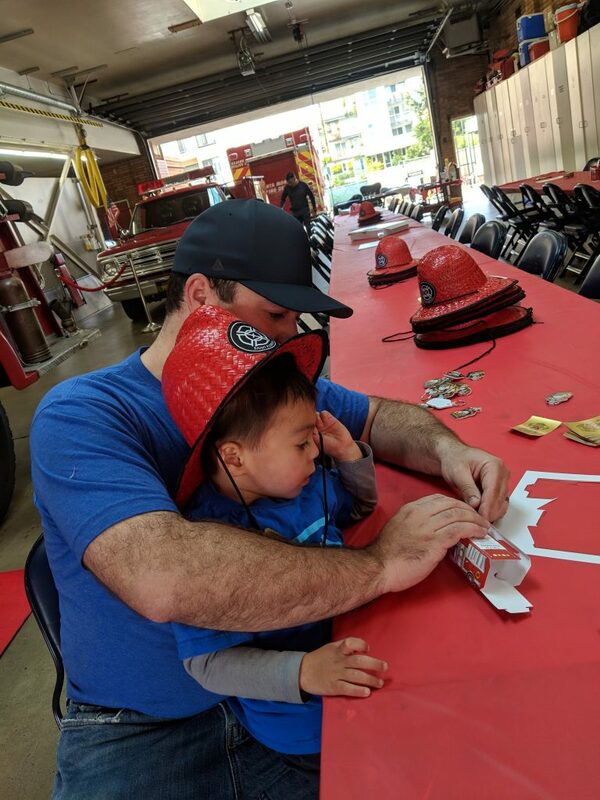 I discovered in late November that Michaels’, the nationwide arts and crafts hobby store, offers drop-in arts and crafts projects for kids on Saturday mornings for the modest price of just $2 for children ages 3-6 and $5 for children 6 and over. 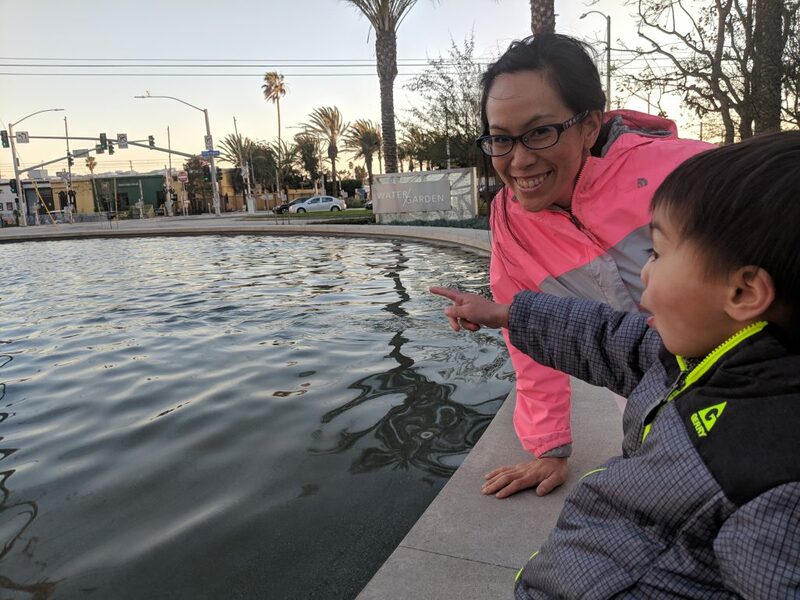 In our most ambitious trip ever, we took three types of trains – light rail, heavy rail, and commuter rail – from our home in Santa Monica to see my husband’s family. Wilshire stood the whole time. 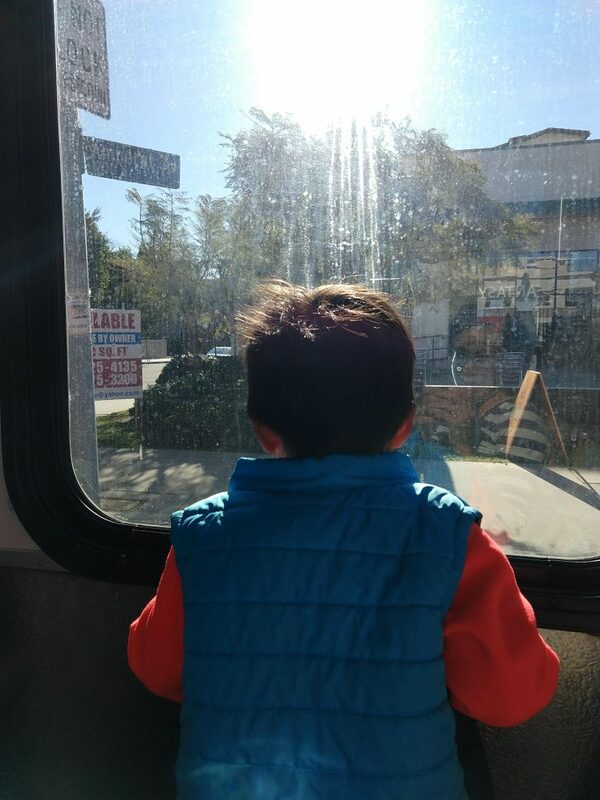 For more pointers on taking transit with children, I suggest reading this piece by Carla Sauter, the Seattle Bus Chick.